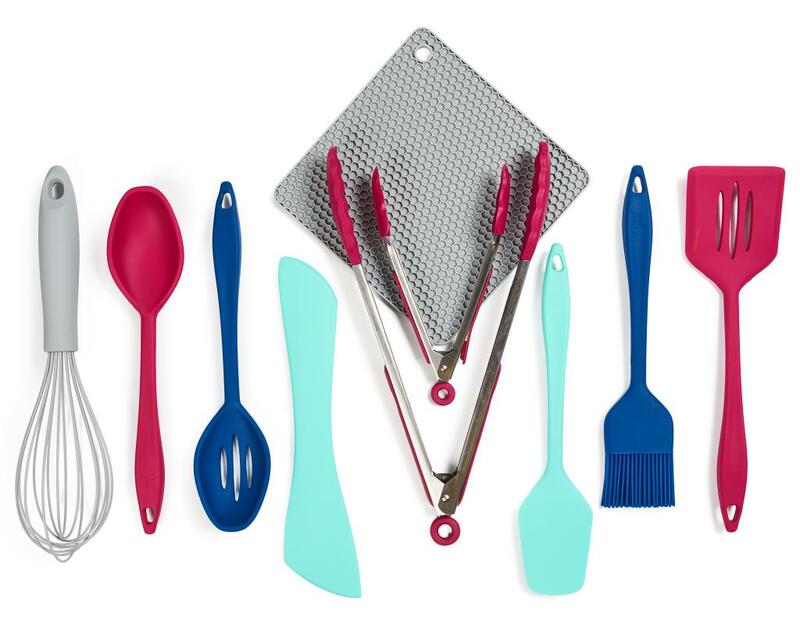 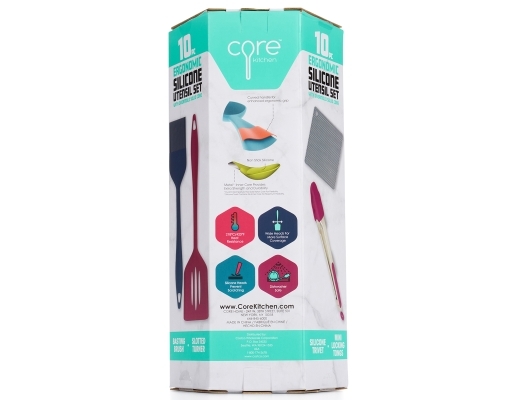 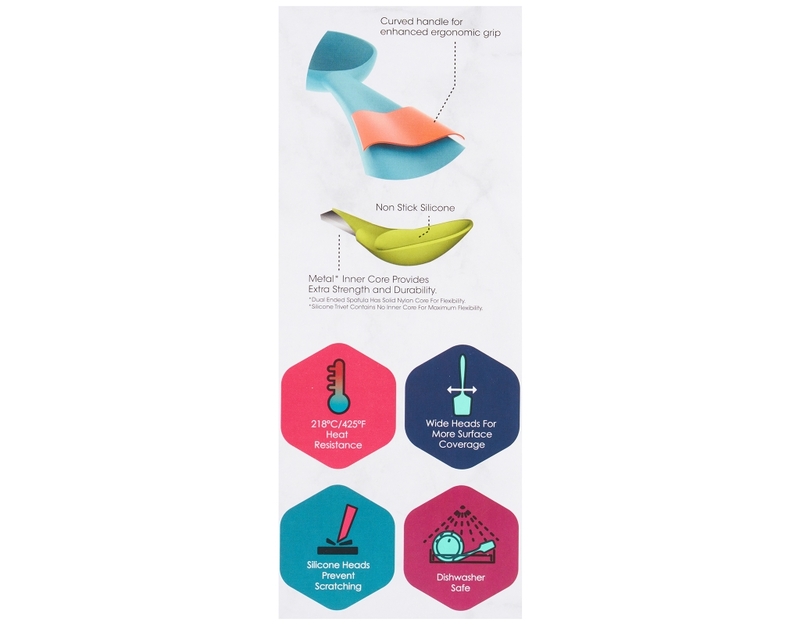 Core Kitchen brings their expertise in color and silicone to this ten piece utensil set. 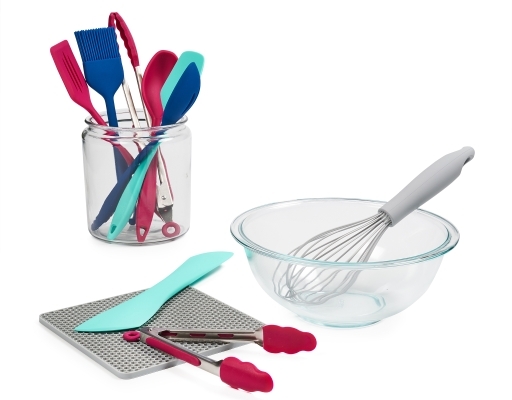 Featuring ergonomic handles and extra-wide heads, these will quickly become your favorite tools to mix, flip, and stir. 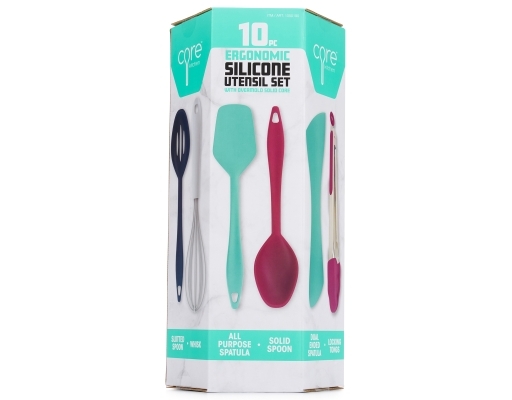 The heat-resistant silicone is safe to 425°, and is gentle on nonstick cooking surfaces. Nonporous and easy-to-clean, each utensil is dishwasher safe and will not absorb stains or odors. 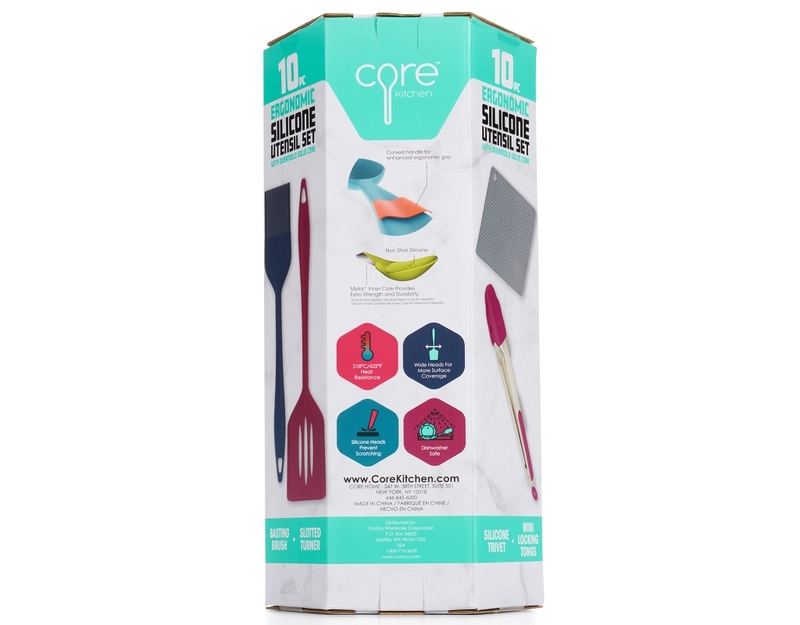 Non-stick Silicone - Metal inner core provides extra strength and durability.